The Somali militant group al-Shabaab has claimed responsibility for an explosion in the capital Mogadishu which killed 14 people on Thursday. The blast happened at a busy intersection near the Wehliye Hotel in Mogadishu, frequented by expatriates working in city. The cause of the explosion was traced to a parked car that was rigged with explosives. In a statement shortly after the explosion, the group, said the casualties include soldiers and officers of the Somali army. At least 20 people were injured. 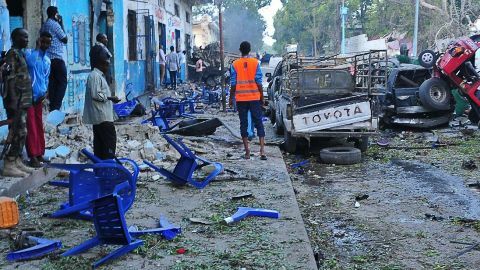 Abdiazis Ali Ibrahim, a spokesman for the security ministry warned that the casualties could rise given the serious condition of those injured.